This story is also known as “Latarnik” (I think) the Polish word for lighthouse keeper. Though the man who hires him is a little skeptical about his fitness for the job due to his age, he gains the position nonetheless, and it is everything he thought it would be. He grows “intoxicated with happiness.” He becomes finely tuned to the natural rhythm of the island where the lighthouse sits. He is still an aging man, though, and of course is not immune to the fears and anxieties that operate on one who is growing old. 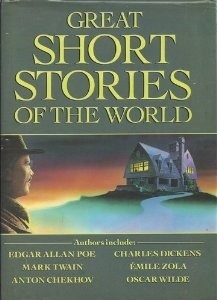 Near the end of the story, when Skavinski has discovered “a rest so great that it nearly resembles half-death.” The reader is greeted with a one-sentence paragraph: “But the awakening came.” I must admit my reading pace accelerated for the final four pages, eager to learn what this awakening was and what effect it would have on him. 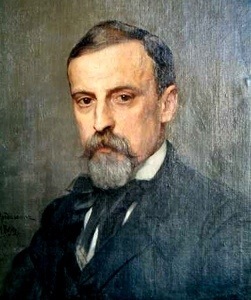 I had not heard of Henryk Sienkiewicz (1846-1916) before assigning this story to the ten of diamonds for my 2013 annual reading project. I found it in my Great Short Stories of the World anthology, which presents the stories in order of the nationality of their author. 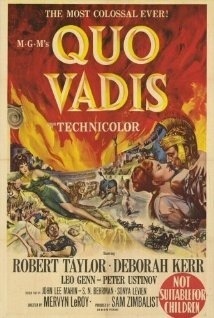 Sienkiewicz also wrote the novel Quo Vadis. I haven’t read it but am familiar with that title from the 1951 Hollywood movie of the same name. What a great story this was! It’s available free online. Would you like to read it? I’ve often joked that the ideal job for me would be that of a lighthouse keeper (as long as the lighthouse had Internet access, of course!). I actually enjoy solitude and prefer it most of the time. 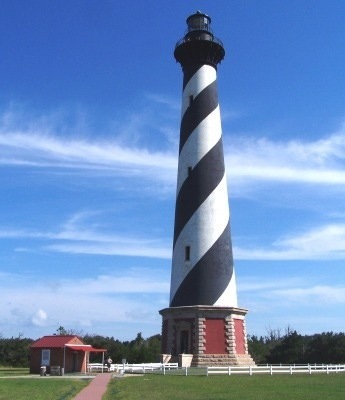 I’ve also visited several lighthouses in my day, the most famous being the great lighthouse at Cape Hatteras in North Carolina (pictured below after its painstaking relocation in 1999). What about you? Have you read Sienkiewicz or other Polish authors? Have you, too, ever dreamt of being a lighthouse keeper? 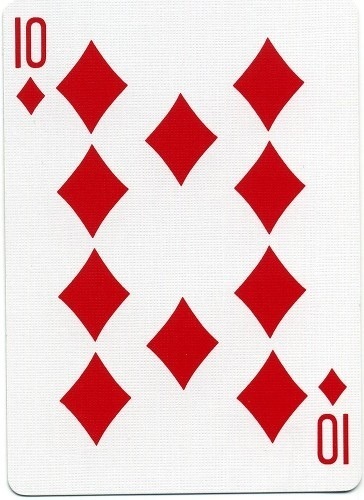 See my “deck” of short story selections here. Diamonds are my suit for authors I had not read previously. Jay, I’m going to have to read this one, soon! I don’t think I can wait until next year’s DMI. Thanks for the great suggestion! I need to find this collection.